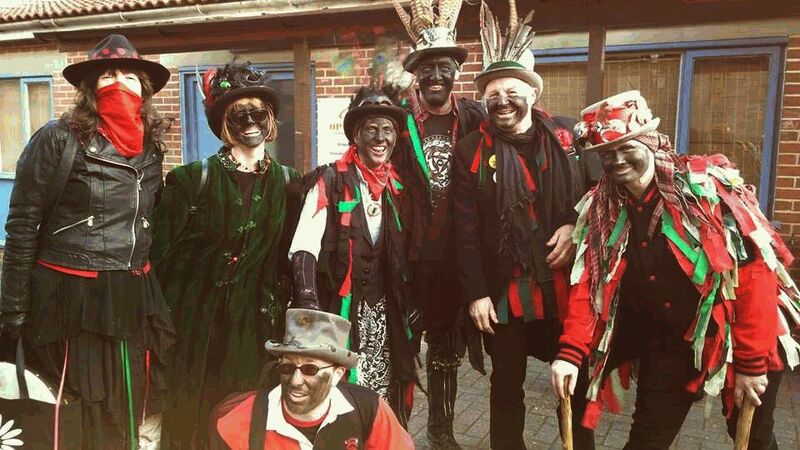 On 21 March 2015, Foxs Morris from Cookley, Worcestershire, came down to Stroud for the day to dance with us at the Farmer’s Market, outside the Subscription Rooms, and at Star Anise Arts Cafe. Here are a few images from Mike Finn of Foxs. Foxs Morris is made up of very smiley friendly people. We love them! Rich W picking up some handy hints for the gentle art of stick throwing. Mike levitated to take this shot of Styx performing Quebec. Alexandra cosies up to Mike. Chris hands back her treasured prize from FoxTrot 2014 to go in this year’s Crap Raffle. A Buddhist monk stopped by to watch. And finally… one last pic of the die-hard few who didn’t want to go home. Photo taken by the brilliant Esme at Star Anise, where we’d had a delicious lunch and performed a few last dances. Thanks for coming down, Foxs!